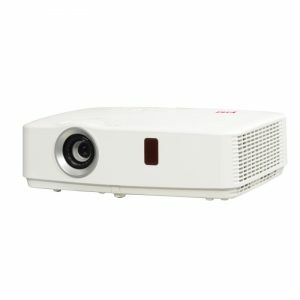 Eiki International, Inc. a world leader for over 40 years in projection technology, showcases the EK-110U Classroom Series Projector. Featuring 3 LCD design and 1920 x 1200 resolution for excellent image quality and reliability, the new EK-110U offers 3600 lumens with 10,000:1 contrast ratio. Users will appreciate the projector’s 10,000-hour lamp life (in economy mode, 4,000 in normal mode). Equally notable, the EK-110U offers Corner Keystone Correction. Mobile professionals will most certainly appreciate this model, which offers HDMI™ with MHL (Mobile High-Definition Link), making this an exceptional meeting projector capable of displaying HD Video from smartphones and tablets—providing maximum versatility for a wide range of content sources. Further, the projector includes a convenient 1.45-1.74:1 throw to width manual zoom and focus lens. For connecting to a variety of sources, the EK-110U projector is compatible with inputs up to UXGA and WUXGA. To ensure seamless integration into a wide range of environments using control automation, integrators will certainly appreciate the EK-110U’s support for Crestron RoomView™ and AMX Device Discovery Technology. Eiki’s new EK-110U Classroom Projector is shipping now.